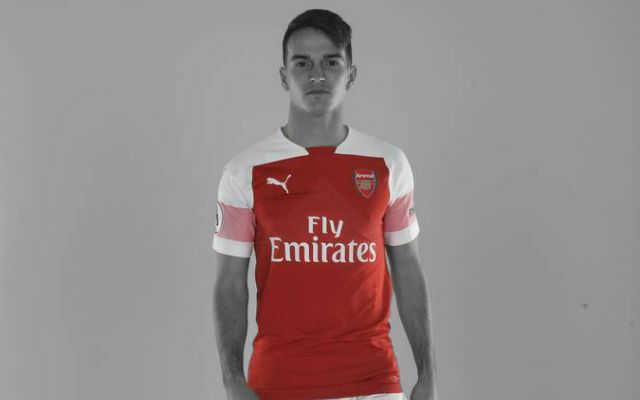 How many times in the last nine years have we seen Arsenal making all things right, controlling the ball and showing breath-taking passing game before our opponents knock us out with the first shot at our goal? Well, this time we were on the better side of the surprising knock-out. Liverpool – encouraged by their victory last week – had most of the possession, better chances and could have easily been two-goals-up before Oxlade-Chamberlain scored the opener for us. Fortunately, Daniel Sturridge suffered from his usual profligacy at the Emirates and Luis Suarez failed to scored in each of three meetings with us this term. Perhaps he doesn’t want to burn all bridges with Arsenal before the summer transfer window, eh? 1.Alex Oxlade-Chamberlain’s effectiveness is a reason for optimism. 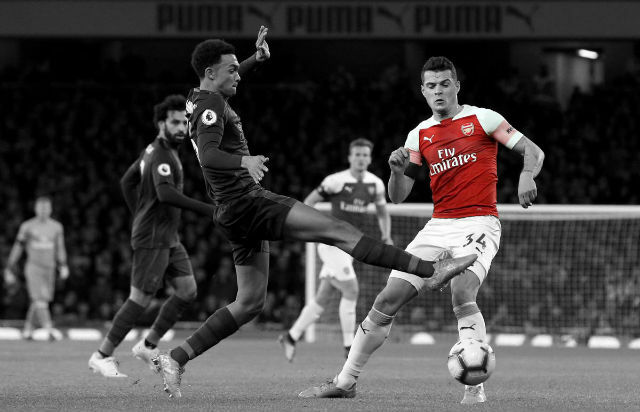 The English wonder-kid hadn’t had too much luck this season before the last few weeks – he was the best Arsenal player during pre-season before he suffered a terrible injury that made him miss 19 games in the Premiership. 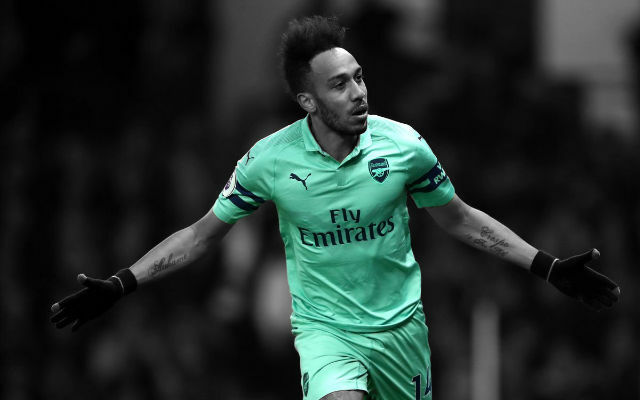 However, he obviously has decided to make up for all that missed time – he scored both goals in the 2:0 victory against Crystal Palace, earned a penalty against Liverpool in the league and had his fingers in both goals against The Reds in the FA Cup. 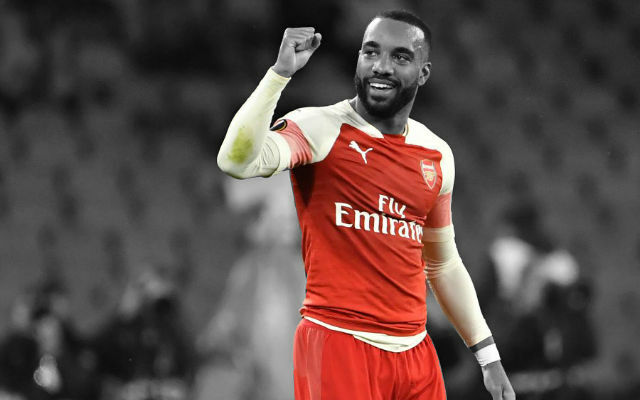 We have had serious lack of pace since Walcott’s been out and Chamberlain – an even bigger talent than Walcott was at his age – is expected to fix that problem. 2.Lukasz Fabianski will leave Arsenal with his head held high. The Polish goalkeeper will leave Arsenal in the summer but his form from last season and this one has been exceptional. There was nothing in his last ten performances that could make you remember his notorious nickname “Flappy Handski” and today’s performance was – apart from that silly punch in Agger’s face that could have earned a penalty for Liverpool – perfect. Hopefully, he will leave Arsenal with at least one winner’s medal in his pocket! The French youngster Yaya Sanogo was a bit of a surprise in the starting line-up in place of his compatriot Olivier Giroud. But it seems that the lanky Frenchman – who wanted to give up on football and work as a postman – deserved his chance. Time will tell whether he will leave the same impression in matches that we are expected to win. Of course, it is obvious that Sanogo is far from being a finished article which could have been seen yesterday – he made a wonderful interception to start our counter-attack only to ruin it with a poor through ball. His return might be like a ‘new signing’. 4….South Yorkshire Police’s loss is a huge loss for football in general. -he should have given a penalty to Liverpool after Fabianski had shown Agger how good a boxer he could have been. Oh, and I wonder what would Collina would do to Sterling had he touched him in a way he did to Webb. Sterling didn’t even get a yellow card. The worst thing is that Webb will probably stay longer in Brazil than England will! 5.We continue our road to the FA Cup Final without leaving Emirates. We haven’t had too much luck with draws this season – after we had eliminated Spuds and Liverpool in the first half of the competition, we got Everton as our opponents in the quarter-finals. It gets worse – we will face The Toffees on 8th March…just three days before 2nd leg against Bayern in Munich and seven days before the North London Derby at White Fart Lame. There is one good thing though – we will continue playing in the FA Cup at our own stadium just like we did in the three previous rounds. Given that Everton are – aside from Manchester City – the strongest opponents left in the competition, that match might be the one that will determine our season. 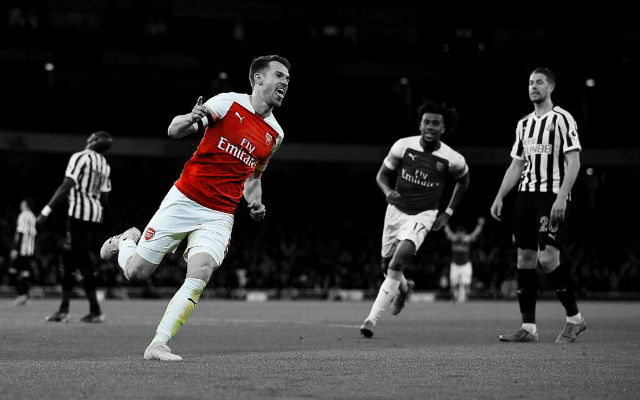 Yes, it has been said for many matches recently but this one will be huge – it’s going to be the first big match in March and the beginning of the 21-day-battle that will include matches against Everton (FA Cup), Bayern (CL), Spuds, Chelsea and City (Premiership). 6.Flamini’s importance was underlined one more time. Flamini returned after he had been sent off against Southampton and our midfield got the aggression and bite that we miss when he is not around. He is going to have a new challenge on Wednesday – he will most certainly start the game in the absence of the suspended Mikel Arteta. This Bayern are arguably the strongest team in Champions’ League history, their midfield is a machine that breaks all of their opponents and they will be difficult to handle even without injured Ribery. 7.We won the game with our second string. Had Wenger hadn’t somehow insulted the Devils of injuries and tough draws, we might have had a different eleven players on the pitch yesterday. We could have easily had Szczesny-Sagna, Mertesacker, Vermaelen, Gibbs-Ramsey, Rosicky-Walcott, Wilshere, Cazorla-Giroud on the pitch. (This fictional line-up proves once more that we don’t have a proper replacement for Mertesacker.) Still, our team won the game against arguably the best team in England right now. The German didn’t have the best game of his life yesterday but he managed to score a match-winning goal. He scored it with his weaker foot which makes his reaction to a perfect Oxlade-Chamberlain low cross even better. That goal also means he is our top-scorer in the competition with three goals. 9.Chambo might help Özil to return to his best. 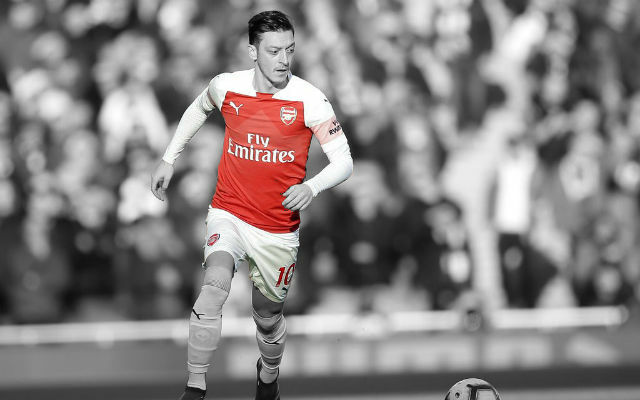 Oxlade-Chamberlain’s pace was a proper response to that brilliant through ball from Özil. In Walcott’s absence, Chambo is the second best option on the right wing due to his pace. 10.Özil should have put the game in bed. Nobody would mention Chamberlain’s foul on Suarez had Özil done better with his drive at 2:0. Still, it was an encouraging performance from the German. Like every genius, he needs space to show his talent and in order to get space, we need pace in the team. With more mobile players like Podolski, Sanogo and Chamberlain, our attack had width and Özil (as well as Arsenal) benefited from it. So, next stop – Bayern. After that we will have three relatively easier matches in the Premiership and a return to the top of the league might be on cards. There are reasons for optimism and let’s hope it will last.